The first step in rebuilding the southernmost end of the Seaside Heights boardwalk, devastated by fire in Sept. 2013, was formally proposed Monday night in a short hearing that took less than 10 minutes to complete. Belle-Freeman Properties, owner of the DuPont Avenue Pier, is planning to reconstruct its property in the coming months, and will likely be up for planning board approval at a meeting scheduled for March 23. The application by Belle-Freeman includes only the physical boardwalk and pier area, said Harvey York, the company’s attorney. 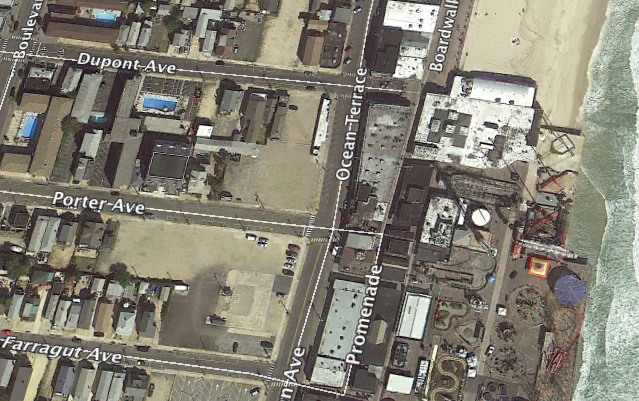 The pier, which was situated between DuPont and Porter avenues, was located in between Funtown Pier to the south, which was also destroyed in the fire, and the former Beach Bar pier to the north. The Beach Bar pier has been rebuilt, but remains for sale at $3.3 million with nothing built on top of it. York told planning board members that the rebuilt DuPont pier would measure 280 feet north to south and 300 feet east to west. No board members commented on the proposal during the hearing, as the full case will be heard March 23. At that point, if testimony is completed, the board would vote on the project. Belle-Freeman would begin construction as soon as approvals were granted, York said, not after the U.S. Army Corps of Engineers beach replenishment project is completed. 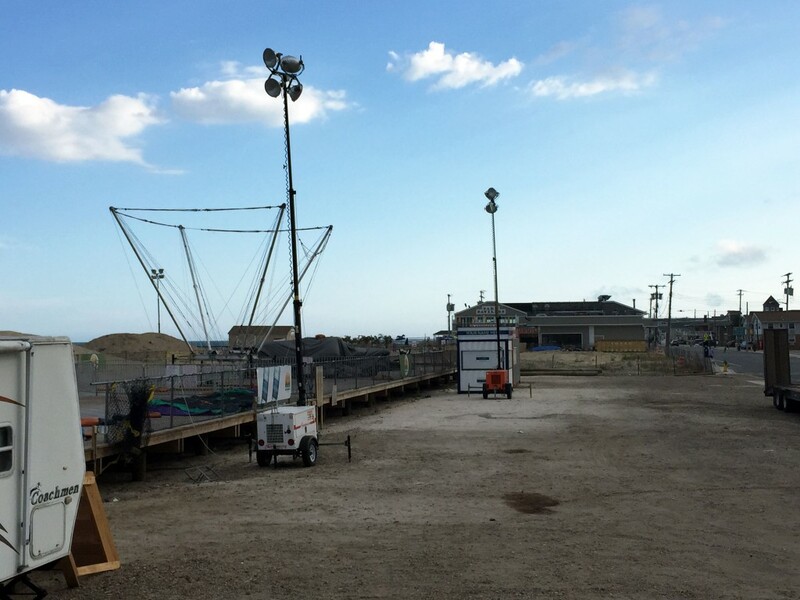 In the past, the owner of Funtown Pier has hinted that he may wait until after the replenishment project to rebuild. That project has been proposed to Seaside Park officials, but requires a zoning variance since several proposed thrill rides exceed violate the borough’s 50 foot height limit. Last year, Seaside Heights approved of some small rides on the reconstructed boardwalk between DuPont and Porter avenues, and the Funtown property was used as a track for ATV rides. Neither will return this year. Seaside Heights is planning to host a number of concerts in that area of the boardwalk, but is ultimately pushing for full redevelopment.